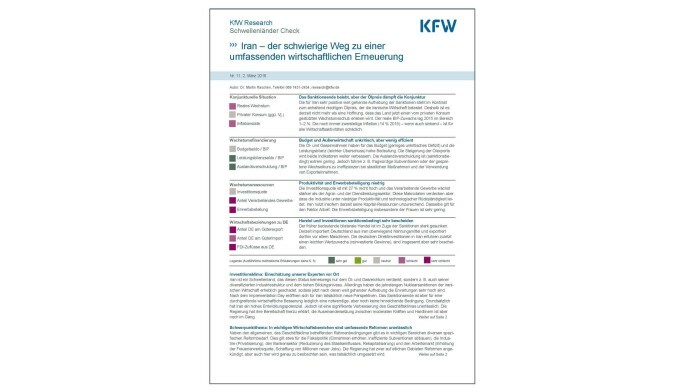 One-page documents with quick and concise information on current themes. 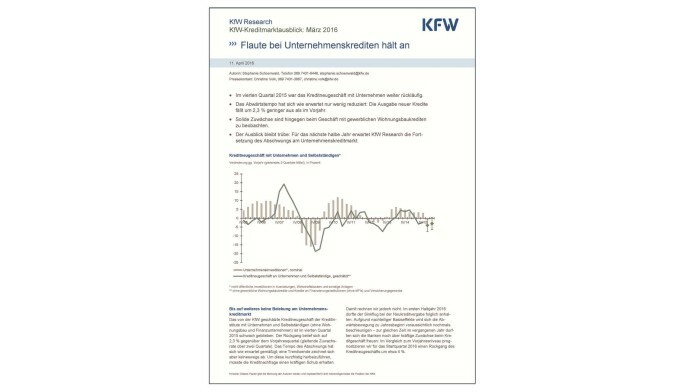 The publication series "Focus on Economics" provides an overview of the latest results on current economic policy issues. 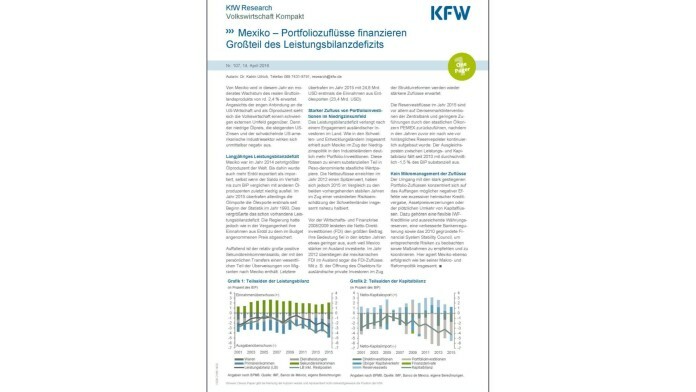 Our indicators provide regular updates and forecasts on important parameters. 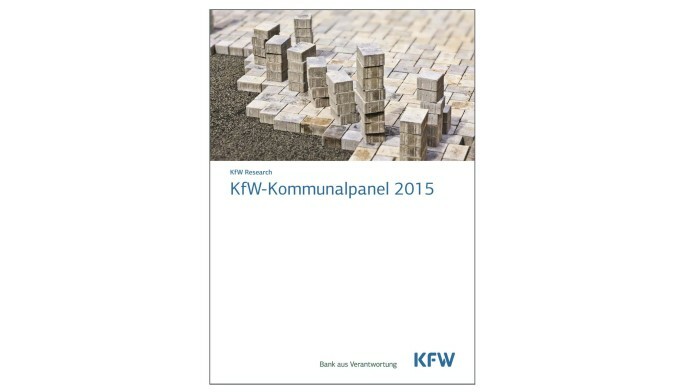 The "KfW SME Panel" is a tracking survey of small and medium-sized enterprises in Germany. 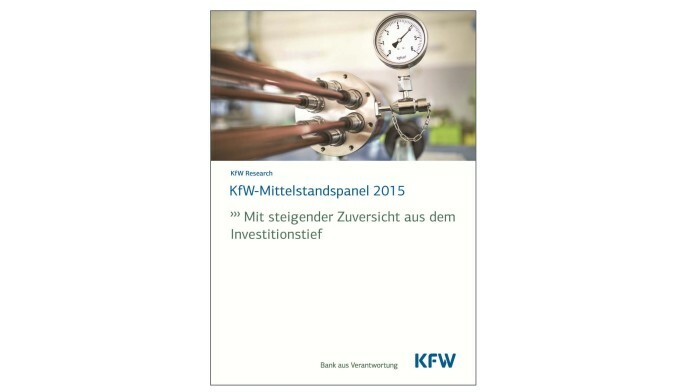 Annual report regarding the development of innovative activity among SMEs, based on the KfW SME Panel. 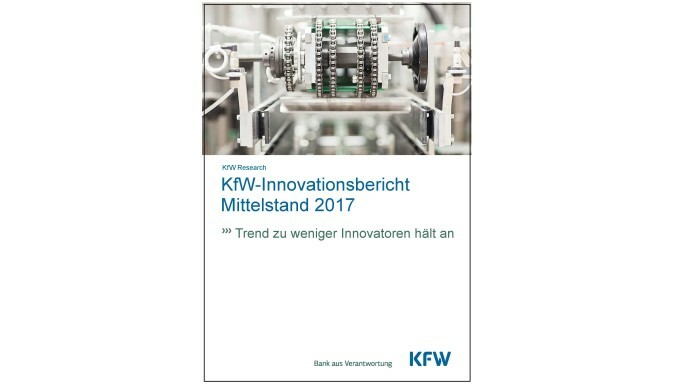 Annual report regarding the development of activity in digitalisation among SMEs, based on the KfW SME Panel. 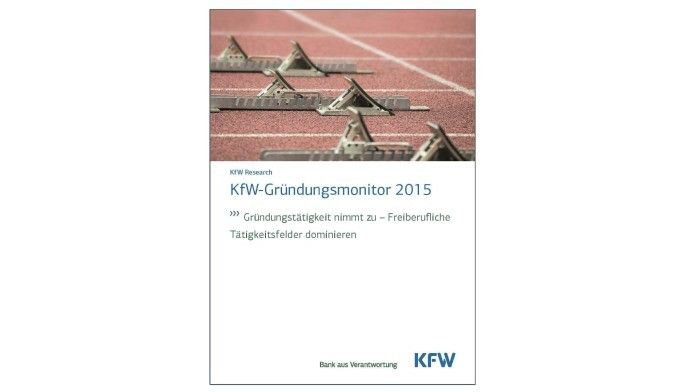 Annual survey of the funding situation of businesses, conducted in cooperation with industry associations. 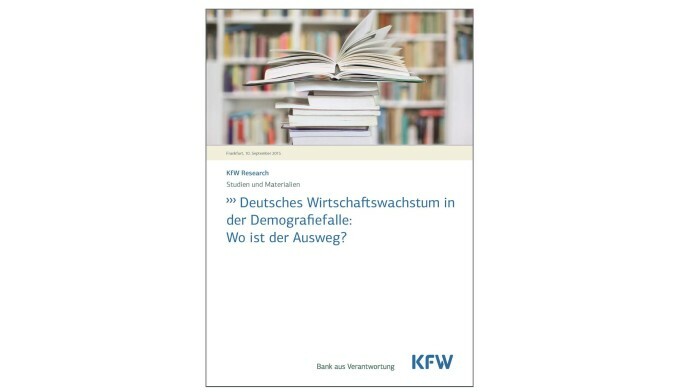 Annual survey of the structure and trends in start-up activity in Germany, conducted among a representative sample of the population since the year 2000. 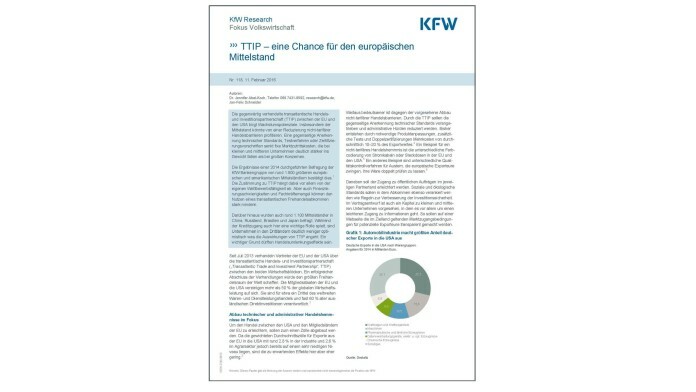 Survey of all companies in Germany participating in the EU Emissions Trading Scheme, conducted in cooperation with ZEW. Annual representative survey of districts, as well as cities and municipalities with more than 2,000 inhabitants, conducted since 2009. In the series "Emerging Markets Spotlight", brief analyses and assessments of selected emerging countries are published. 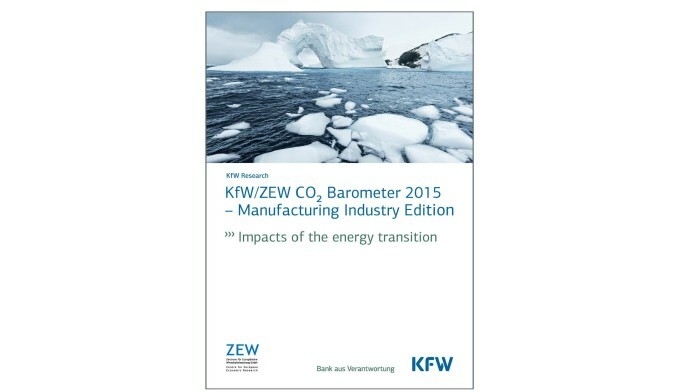 This series provides detailed analyses on the topics of SMEs, start-ups, innovations and sustainability.